John A. Marcum, a renowned Africa scholar and UC Santa Cruz professor emeritus of politics, died September 12 in Santa Cruz at age 86. Marcum was provost of Merrill College from 1972 to 1977 and served as UCSC academic vice chancellor from 1979-1984. In 1990, he became director of the Education Abroad Program for the University of California system. In 2001, he added the role of associate provost for International Academic Activities in the UC Office of the President. After retiring in 2007, Marcum became active in the UCSC Emeriti Association, serving as its president in 2011-2012. "John was a UCSC stalwart and great friend of Merrill and to many here," current Merrill College Provost Elizabeth Abrams wrote to Merrill fellows. She said that as recently as last April, when Marcum attended Merrill's 45th anniversary celebration with family members, "he signed up to serve as a mentor to current Merrill students in need of the guidance a wise elder could provide." Marcum's family prepared the following obituary. John A. Marcum, international educator and renowned Africa scholar, died September 12 in Santa Cruz. The cause was complications following cancer surgery. He was 86 years old. Marcum was part of a small but passionate group of activist-scholars who helped shape and chronicle American relations with Africa during the collapse of colonialism and the birth of independent Africa. His influence extended from academics and policy makers in Western capitals to emerging leaders of Africa’s pre-independence nationalist movements such as Patrice Lumumba and Eduardo Mondlane. He was also deeply involved in efforts to end apartheid in South Africa for more than three decades. Marcum was one of the world’s foremost experts on Angola and Mozambique. When war broke out in Angola in 1961 Marcum traveled behind enemy lines with nationalist guerrillas to deliver medicines to villagers and soldiers. He is widely credited with writing “the bible” on the Angolan revolution. According to The New York Review of Books, when the first volume, The Angolan Revolution: The Anatomy of an Explosion (1950-1962), was published in 1969, it “immediately became the main source for anyone trying seriously to understand Angolan nationalism, including Portuguese officials in Lisbon and revolutionaries in Angola.” At the time of his death he was completing the final edits on a history of the Mozambican revolution based on a trove of original documents and interview notes dating back to the late 1950s. Marcum began his teaching career at Colgate University in the late 1950s. During the 1960 presidential campaign he advised candidate John Kennedy and traveled to the continent with Averell Harriman at Kennedy’s behest. In 1961, he moved to Lincoln University the first degree-granting historically black university in the U.S. There he worked with the newly installed Kennedy administration to create and then direct a training program for African refugees – many leading members of nationalist movements – fleeing from colonial conflict on the continent. He served as the president of the Africa Studies Association in 1975. In 1972, Marcum joined the faculty of UC Santa Cruz as a professor of politics (1972-2007), and provost of Merrill College (1972-1977). He later served as academic vice chancellor (1979-1984). In 1990, he became director of the Education Abroad Program for the University of California system (1990-2007), a position that allowed him to promote his twin passions for internationalism and higher education. Later, he assumed the additional role of Associate Provost for International Academic Activities in the University of California, Office of the President (2001-2007). Under his leadership, the number of students studying abroad increased substantially, and UC partnered with leading universities in Asia, Latin America, Africa and Europe to create new and more diverse opportunities for students to study, research and do overseas internships. Marcum returned to UC Santa Cruz as professor emeritus of politics in 2007. 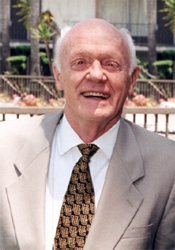 Born in 1927 in San Jose and raised in Napa, Marcum earned a B.A. (1949) and Ph.D. (1955) from Stanford University and an M.A. from Columbia University (1951). He first became involved in sub-Saharan Africa after receiving a Fulbright scholarship and studying French colonial involvement in West Africa at the University of Paris, Institut d’Etudes Politiques (1952-1954) and later received a Ford Foundation fellowship to continue his studies and travel in Africa. John Marcum is survived by his wife of 49 years, Gwen, and children, Andrea and her husband Dom Pietrangelo, Edmund and his wife Deeksha and daughter Jaya, and Arthur and his sons Jackson and Jasper. A memorial celebration of his life will be held in Santa Cruz at a time and place to be announced. Contributions in John’s memory may be made to a charity of the donor’s choice.